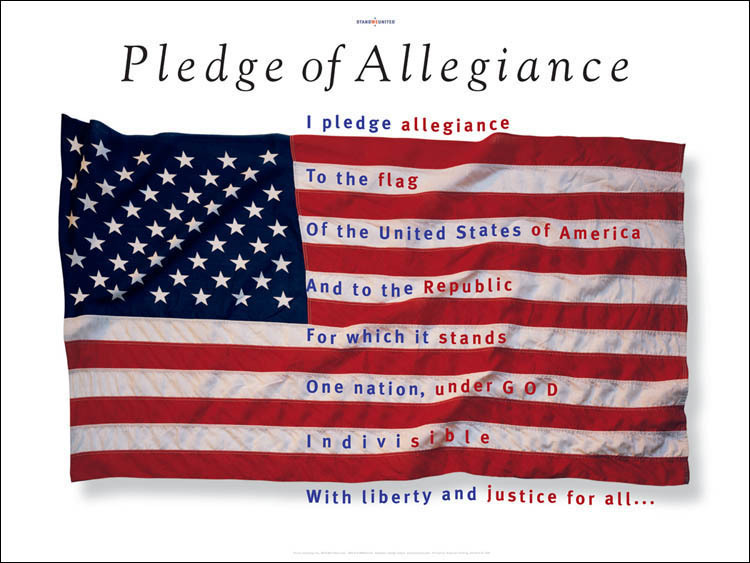 Pledge of Allegiance Wall Art from StandWeUnited®: Offset lithography, one of a series of seven posters designed in the aftermath of 9.11.01. Entered into the Library of Congress, December 2009. Gold Award, Graphis Poster Annual (graphis.com), series hung in Green Zone, Baghdad.